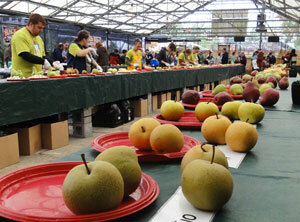 Apple tasting, H.P. 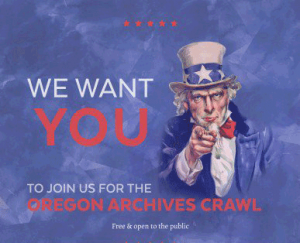 Lovecraft, Oktoberfest, Bikes and Beer, Archives – and more! A weekend with something for everyone. About the time the leaves begin to change color, it’s time to celebrate the abundance of apples and pears. We’re always well-supplied with a large variety of apples and pears to taste and purchase by the pound, as many as 60 different varieties in all! Tasting lines, as well as our fresh-pressed cider demonstration and tasting, will be open during all six days of this free event. The H.P. Lovecraft Film Festival® & CthulhuCon™ promotes the works of H.P. Lovecraft, literary horror, and weird tales through cinematic adaptations by professional and amateur filmmakers, panel discussions, author readings, gaming, art, and sometimes live music. The festival was founded in Portland, OR in 1995 by Andrew Migliore, with the desire that H.P. 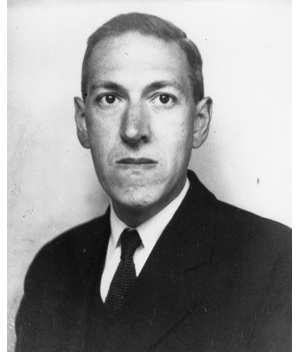 Lovecraft would be rightly recognized as a master of gothic horror and his work more faithfully adapted to film and television. The ninth annual Handmade Bike and Beer Festival is a collaboration between the Oregon Bicycle Constructors Association (OBCA) and the Oregon Brewers Guild. This family friendly, event pairs renowned bike frame and parts builders with great, local craft beer. Unleash… the beer! 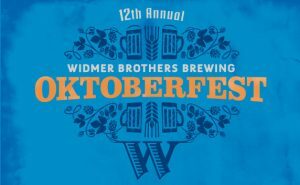 Get ready for the most brew-bubbling, belly-busting, lederhosen-loving event of the year: The Widmer Brothers Brewing 12th Annual Oktoberfest October 8th from 12pm – 9pm at Pioneer Courthouse Square. It’s a beer lover’s paradise, with all of your favorite Widmer brews, like Hefeweizen, Steel Bridge Porter, Upheaval IPA, PDX Pilsner, Okto Festival Ale and introducing specialty small-batch brews you can only sample at Oktoberfest!